China is the land for huge opportunities for international F&B Brands. Food in China is a huge Market, but why most International Food & Beverage Companies are not so successful? China is known for a buoyant opportunity for International food companies at this moment in time. International companies are trying to break into the Chinese market not merely due to its unstoppable economic growth or for its inexpensive labor but rather for the increased purchasing power of its consumer market. China’s fast expanding middle class is expected to triple their spending over the coming years, reaching $6 trillion by 2020. Multinational companies cannot afford to ignore the Chinese market, rather they are coming up with viable marketing solutions to target the second biggest consumer market in the world. Growing middle-upper class has been spending on health and wellness tremendously over the last decade. The market is expected to reach nearly $70 billion by 2020, as a result of both rising incomes and awareness about wholesome living. Chinese urbanites are increasingly drawn towards “all natural,” edible products, they are keen on checking details on food labels and as a result, they are willing to pay a premium for healthy food. The country is already the world’s most health-conscious, according to a 2017 BCG survey. This has created tremendous investment opportunities for foreign investors in food business in China, especially for the ones involved with organic and health food products. For a long time China has been under food scandal highlights. Now that Chinese consumers are more aware about healthy eating habits and have high purchasing power they are ready to pay for foreign produced healthy, save food products to steer themselves away from domestic food safety issues. According to Food and Beverages Consumer Insight in China survey, 86% of consumers from tier 1 and tier 2 cites consider food safety before buying the food. Chinese consumers are very cautious about the food products they use, it doesn’t take long for them to stop using a product if a food brand has been under safety incidents. According to survey by Iposos, upto 90% of Chinese consumers prefer edibles without any food additives. As part of wholesome living more than half of Chinese population strictly watch their weight and like to consume food with less calories. Food brands that cater to segments such as; no artificial additives, organic ingredients, low calorie and slimming effect have huge potential in Chinese food market. Chinese consumers are developing and adopting healthy, fast, nutritious and safe food items. They are opting for foods that favor their lifestyle. Purposeful eating is more of a trend in prime Chinese cities Shanghai and Beijing consumers opt for detox and cleansing juices. This trend has given a major opportunity to health food companies to sprout over the last few years. According to new research from Mintel on plant protein drinks (PPD) in the country, nearly nine in ten (87%) Chinese consumers now drink plant-based prepared drinks, it can be soybean drinks, juices or grain drinks. According to reports consumption of coconut water, has grown by 30 percent over the last year, due to its beneficial properties. Usually, 30% of people living in 1st and 2nd tier cities purchase organically produced food. Chinese families with children also prefer to buy organic or green food. High and middle-income families are more willing to spend their money on organic food. Many people in China are still reluctant to buy organic food as the biggest impediments is the trust factor and it is hard to distinguish from counterfeit products. Other people find organic products expensive and inconvenient to buy. Running and fitness sports are gaining popularity among Chinese consumers. This trend has given an immense boost to sales of functional drinks in first and second-tier cities of China. Chinese customers prefer having a functional drink to keep themselves hydrated during sports activities. Chinese consumers prefer to have a snack during the afternoon as a meal replacement food. This helps them to keep fit and intake fewer calories. According to a survey, Chinese professionals prefer snack during lunchtime, which also helps them to have a quick snack on a tight schedule day. Improved living standards in Chinese cities and rising belief that vitamins contribute to better health, Chinese urbanites are taking vitamins as part of their daily diet. This has generated greater demand for nutritional supplements in recent years. The demand has attracted foreign nutritional-supplement manufacturers from around the world seizing the opportunity provided by this trend. In China, fresh food is high in demand witnessing the sector grew up to 59.7% in 2017 with 139.1 billion yuan revenue (22.1 billion USD). Chinese consumers prefer fresh foods which fall under all natural category, safe from any hormones or chemicals. Most popular fresh products are fruits, vegetables, eggs, milk, meat, honey, nuts. The Fresh Food online demand is booming , and the Etailer JD.com offers a special fresh products on its website with online recipes to push the purchases of Fresh vegetables, meat & Seafood, fruits, and also make the buzz by opening its first fresh-food (off-line) supermarket 7FRESH where consumers can either buy locally or order via an App. With rising incomes and awareness regarding making better, healthier eating habits, Chinese nationals are including seafood in their diet more than ever. The choice ranges from salmon to abalones, to shellfish, and shark fin etc. China now accounts for one-quarter of the world’s seafood consumption, and the United Nation’s FAO projects China will need an extra 16 million metric tonnes of seafood by 2020 to meet growing demand. The health and wellness trend is expected to increase the value growth of naturally healthy packaged food. This will be driven by increasing household incomes and rising education levels, as well as health consciousness. Naturally healthy packaged food is one of the main categories in the health and wellness market, which is expected to be a key growth driver as consumers seek more nutritious food to become healthier. Consumers strongly believe in the benefits associated with naturally healthy packaged food. For example, there is a rising demand among consumers to have salads with virgin olive oil, as they perceive olive oil to be healthier than other types of oils, such as traditional oil. Chinese consumers, especially young people, are interested in food trends. Trendy snacks like kale chips and superfoods item. More often, trendy snacks are not available in local Chinese snack shops. China is the 2nd largest savory snack market in the world (market size US$10 Billion in 2016 with an overall volume of + 1 Billion kg). With an estimated growth of 11%, it is the most dynamic market in the world. China new trend is the imported snack that is gaining popularity among Modern young Chinese consumers, 42% of urban Chinese are interested in buying imported snack products they’ve never tried before. In China, you can find a variety of new Imported Stores that are specialized in selling imported Food. Consumers in China have become extremely fond of fruit juices. Fruit juices can be classified into two categories; FC and NFC juice, and the nutrition value and flavor of two types are different. NFC is the abbreviation of Not From Concentrate, indicating that it contains almost the same nutrition and flavor from a fruit but has higher storage cost since it deteriorates more quickly as compared to FC, which consist of other ingredients like water that makes the juice less in nutritional value. Chinese consumers prefer healthy fruit juices over carbonated drinks and the emphasis is rising after learning the health benefits of fresh fruit juices. China is the second largest market for wine in the world. Investor or business leader cannot ignore this opportunity of increasing influence of customers. There are 48 million regular wine drinkers in China and these individuals belong to the upper-middle class sector of the population. This, group has more disposable income compared to others. Therefore, despite the higher prices, they choose to purchase and drink imported wines from International brands rather than drinking local Chinese brands. Chinese are very sensitive to Wine Brands, and are afraid of unknow Wine , due to too many scandals of fake French Wine. China is the world’s largest market for infant milk formula, consumers have been extremely quality conscious since 2008 safety scandal. Other than milk now Chinese parents opt for international baby food brands that use organic and all natural ingredients to manufacture baby food. With 18 million new births in 2016, the baby population in China is growing even further at an accelerating rate in 2017, this means there is greater demand for baby food in China. China’s consumption habits are shifting and now consumers are making safe and informed choices when it comes to packed edible items. A growing demand has also been noticed in foreign brands FMCG. Packaged food which includes; biscuits, chocolate, instant noodles, candy, chewing gum and infant formula, milk, yogurt, juice, beer, ready-to-drink (RTD) tea, carbonated soft drinks (CSD) and packaged water, these items these contribute to 80% of China’s FMCG purchases. Consumers prefer to buy beer in convenience stores and grocery store in Tier-1 and Tier-2 cities. The rise in demand is also accredited to convenient E-commerce channels, growing by more than 52.0%. Chinese now prefer to eat out or order food delivery, instead of cooking meals in their kitchens. According to the latest research, food purchased for home cooking grew by an annual 3% from 2013 to 2016 whereas, food delivery rose by 44% and 10% increase was noted in dining out. Futuristic brands are already benefiting from this trend. For example, the food service divisions at Unilever and Fonterra that sell ingredients to restaurants are achieving double-digit growth. Private equity brands have targeted online-to-offline (O2O) food delivery platforms such as Ele.me and Meituan, a segment of the food delivery market that has grown by 40% to 50% annually since 2013, and expected to continue to grow along with Chinese consumers’ increasing appetite for convenience and for quality food and beverages. The popularity of products like cheese and pizza were signifying that consumers are becoming more adventurous and increasingly have a fondness for Western-style products when they are eating out or delivering food. This is a good sign for direct-to-consumer food sales too. As ingredients and dishes become more common outside the home, it’s more likely the Chinese consumer will try, become familiar with, and eventually buy for in-home consumption. The e-commerce channel has continued to skyrocket, growing by more than 52% in value. Chinese consumers are also faster at adapting to e-commerce and social media. E-Commerce is more utilized in China than in other markets, this is mainly due to the nation’s strong digital infrastructure. Chinese consumers prefer to buy products online more for convenience than price. Chinese customers are extremely tech-savvy and use mobile technology to increase their functionality. Consumers in China appreciate new technologies and show the early adoption of new products. To reap the benefits of strong e-commerce platforms, foreign brands are advised to lay in competing for the Right digital marketing strategy to create awareness about its services and products that seamlessly connect online and offline elements. At every step of the purchasing pathway, consumers need to be kept entertained and engaged. In China, if a service is appreciated people like to chat about it and automatically customers are transformed to brand loyalists who further talk about your service and brand among their friends and family. The biggest e-commerce company in China, Alibaba, has introduced a growing chain of cashless supermarkets unlike anything in the US. The chain store is called Hema and seeing the popularity among Chinese consumers Alibaba plans to double its locations in China to nearly 60 this year. Shoppers use their phones to pay for food at Hema, much like at Amazon’s new cashless stores, Amazon Go. In addition to that, Hema has two other services: on-site chefs offer to cook shoppers’ groceries on demand, and there is a courier service that can deliver online orders within 30 minutes. This is a new concept which gained instant popularity in China, seems like Chinese consumers like some entertaining action. China’s economy is flourishing, the growth of China is probably one of the best stories of the time. 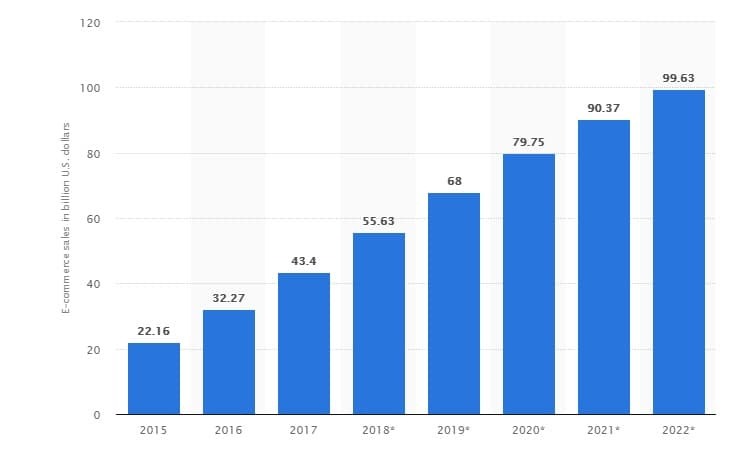 Companies that build a detailed digital marketing strategy and focus on the evolving trends and further address these trends and learn how consumption is driven by new shopping behaviors, preferences, and habits will be forerunners in a market worth trillions of dollars. China is a completely different market than elsewhere in the world. If foreign brands can not find quality distributors then it gets difficult to gain return on investment. 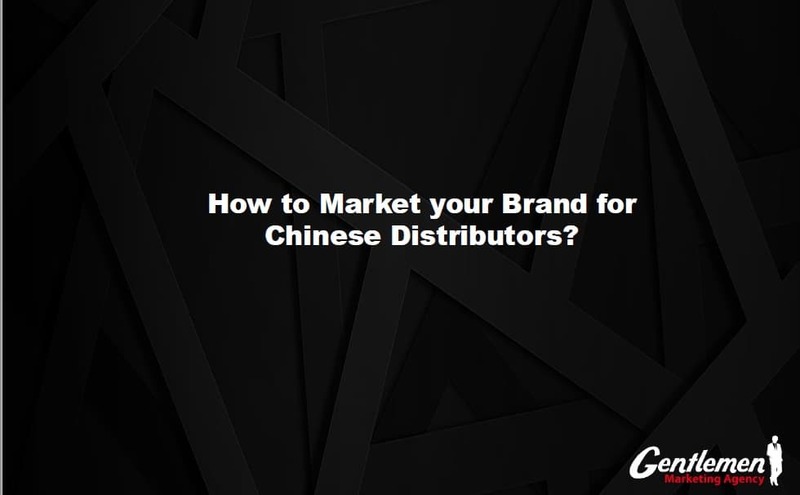 Local Chinese distributors are very picky in Chinese market and they also maintain a reputation therefore firstly, to get noticed by them and get chosen by them is close to impossible if a brand doesn’t already have created awareness on Chinese digital platforms and portrays a good e- reputation. Forcus Dupre, was highly welcomed wine in China. The local Chinese digital marketing agency, knowing the Chinese consumer mind, entailed the story of this French wine in such a way that it made its way to the tables of upper-class Chinese consumers in a short span of time. This wine was recommended by a British writer Jancis Robinson, who specializes in the wine industry and she is known as the queen of England wine industry as consultant. Due to extremely good E-reputation, the wine was soon rated as best on Chinese retailers websites. E-reputation is extremely important in China to promote a foreign brand or a product. Chinese netizens follow social media platforms religiously. A big part of their spending on a product is dependent on reviews they read from other users. Chinese consumers do not trust in advertising of the products from the company itself. It is critical for companies to have social media presence to be successful in the Chinese digital ecosystem. Social media presence can backfire too, if not taken care of properly, therefore it is vital to partner with a reputable digital agency in China for guidance on social media presence. No matter how popular a brand is outside China, but to Chinese audience only what is visible on Chinese digital platform is known. In B2B lead generation, more trust and visibility is needed. In China, consumers look for new and trustworthy Food and Beverages brands. Firstly, consumers must be told about the benefits of the product, and the Intellectual property rights must be availed, in order to protect one brand from counterfeit products. Several well-known brands want to convey friendly messages to attract Chinese consumers but sometimes end up offending Chinese consumers due to lack of knowledge about Chinese culture. Therefore, It is extremely important to understand local culture in China and conduct branding accordingly. The secret to brand activation in China is when a company is promoting their products or services they must focus on similar communities or one kind of consumer. Brand activation is a process of making a brand well-known among the consumers and eventually focuses on moving the consumers to move them to the next phase of the buyer’s cycle. The activation can be promoted in an experience-based way. This generates consumer’s interest, and allow them to use and experience the brand. Social media platforms are highly advisable to create brand activation in China. Brand exposure or brand awareness is the familiarity of the consumer with the brand. 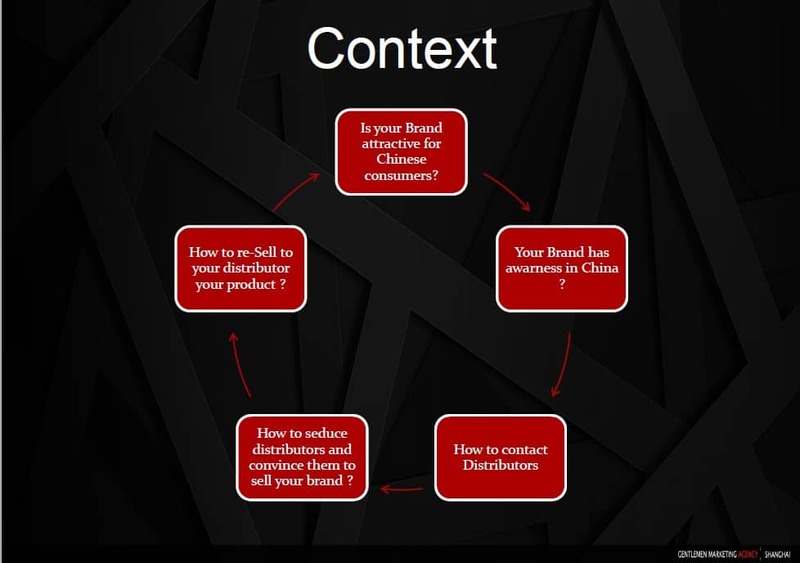 In China, brand exposure is done using social media website, such as; WeChat, Weibo and QQ. Chinese consumers learn about new brands via social media. According to most international food brands, Chinese consumers do research about a product or service on their smartphones. Twist & Drink is an Austrian brand catering children. The drink is made from natural mountain spring water. The product line boasts several fruity flavors, in colorful easy to open bottles. Twist & Drink is a family owned business since 1973 and produces over 50 million bottles each year. Currently, the brand is available in more than 20 countries. Wechat is the most adopted social media platform by brands to engage consumers. It has over 860 million monthly active users. With the help of local digital marketing agency, Twist & Drink launched a game, consisting of various characters that users needed to compete with in order to collect points in the ‘Twist & Drink arena’. WeChat games are extremely popular and work as a great marketing tool if branded appropriately. Twist & Drink game informed the consumers about the different flavors with the help of characters in the game. Each character also came with key messages displayed before and after the game was played. More than 10000 Chinese consumers participated per day, using their WeChat accounts. On the other hand, regular posts and content were shared on other major social media platforms every day. The official Twist & Drink account was made using H5 using Wechat mini-site which was hosted within the application. In order to attract Chinese customers, the product or service must be extensively visible on digital platforms of China. Like all other foreign brands no matter how famous a brand is in some part of the world when rolling inChina, the brand needs to create awareness for the targeted market. Along with functional benefits, Chinese consumers are extremely focused on the value of products and services. They require companies to justify their prices. 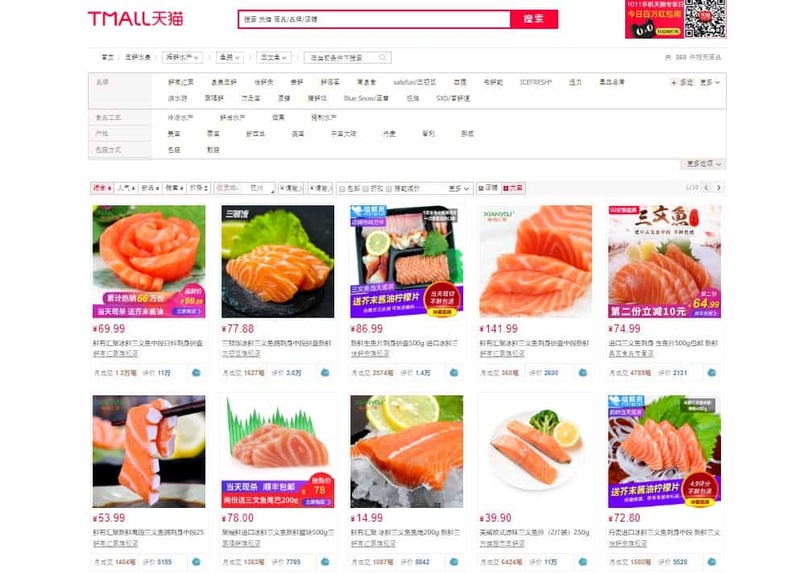 On the other hand, E-commerce has become more prevalent as the buying channel in China, food companies must create a platform that seamlessly integrates online and offline elements. At every step of the purchasing pathway, digital interaction needs to be integrated and design meaningful touch points that deepen the brands engage with consumers. In Twist & Drink case, awareness was created among mothers using digital channels, highlighting the health benefits as the selling point of the drink for their children. Citadelle, is the world’s largest supplier of 100 percent pure maple syrup. Previously, Chinese consumers found maple syrup just too expensive to include in their diet. Citadelle realized the opportunity in the Chinese market and felt that Chinese consumers are looking for healthy and safe food, especially imported food, and when it comes to sweeteners, maple syrup is the healthiest option. Citadelle also targeted babies under 12 months of age, a key demographic of China. Maple syrup is safe for babies under 12 months old whereas, honey is not advisable for babies. Maple syrup also has 25 percent fewer calories than honey. These selling points coupled with a well-known brand name soon became popular among Chinese consumers on Tmall e-commerce site. To encourage customer engagement Citadel also conducted cooking contests and made Chinese recipes using maple syrups. Jean Yves LU is the founder and CEO of Epermarket, Shanghai’s ultimate online supermarket. Jean Yves LU saw the potential in catering to the expat community of Shanghai. He aimed to offer Epermarket as one stop that sells foreign products and the food that foreign community in China can trust. Epermarket also has high-class wine to satisfy even the most refined foreign and local Chinese customers, which has been handpicked from more than five thousand wineries around the world. However, Epermarket soon realized the interest of local Chinese community in fresh, safe imported products. Initially, they were targeting foreign consumers and expats in Shanghai, soon after realizing the local Chinese consumers demand they laid their digital strategy to attract Chinese urbanites. This gave boom in their sales by targeting several segments in the market. China has become one of the fastest growing lucrative markets in the world. Chinese consumers are opening to foreign brands even faster than expected especially for food and beverages brands due to ‘safe food’ feature attached to it. There is a huge potential for growth for foreign brands in China. E-commerce is a vital part of consumer shopping behavior in China. Therefore, the online Chinese population has exceeded 731 million people, which is equal to the total population of Europe. Online shopping has become an important factor in China’s economy, contributing highly to annual GDP growth. The trend in digital shopping in various industries is growing rapidly and shows no signs of slowing down anytime soon. To gain success in Chinese marketplaces a brand must be known by Chinese customers. Products and services must be offered to cater Chines preferences an tastes. This can call for innovating new product assortment or could be altering brand name or logo. Chinese consumers are extremely reliant on social media for learning about new brands and products. Online forums where product reviews are shared also count a lot in brand building. With increased awareness, Chinese consumers preferences and habits are changing. On the other hand Chinese use particular brands and products as self-expression. Through urbanization, modernization and internationalization, Chinese consumers are adopting at an extremely fast rate, and now they have developed an appetite and tastes for foreign products and cuisines too. Initially, when Starbucks rolled out in China, its customers were mostly expats but now Starbucks is extremely popular among Chinese consumers. Starbucks positioned coffee drinking as an experience, and a symbol of an upwardly mobile lifestyle, this trend was readily welcomed by young Chinese consumers as it made them feel more independent and allowed them to appear cool and successful among their peers. In the highly connected environment of China, customer engagement must be the top priority in the food industry. Chinese customers like online interactions and it can be achieved with the help of interactive apps and games. Netizens seek personal experience in an app, that could be encouraged with one-to-one dialogue or contextual engagement. A successful mobile strategy should also draw actionable data in order to understand the customers perspective and intentions. Apart from mobile applications customers can be engaged on Chinese social media, where Chinese consumers are very active and responding to each and every post is considered as an obligation. Although handling social media engagement in China is not easy, one negative comment can flare up into a bad image, therefore companies need to develop new models and processes for effectively engaging individuals in a way that communicates brand identity and values along with keeping customer preferences in mind. Responses on social media must satisfy consumer concerns, and should not lead to a negative viral spiral. Customer engagement on social media in China has the power to make or break a brand. Marketing campaign must target customers on various social media platforms. Creating awareness of the brand, interacting online with customers and creating a seamless transition between each social media platform. Chinese digital eco-system is fragmented. However, the major platforms like Weibo, WeChat, Baidu and Taobao boast the largest volume of users. Platforms are either segmented by function or cater to niche interest communities. China is becoming increasingly digital. Foreign companies especially food brands need to incorporate online and offline features in their business model. A strategy that enables food and beverage brands to avail full advantages of both online commerce and physical retail. This online to offline strategy was implemented with the help of Wechat, where The French Cellar engaged with the customers present at the event on their WeChat account. The attendees were educated regarding wine and step by step discovered the wide selection of The French Cellar. In this course, the brand also encouraged customers to taste the wine. Wine is not part of Chinese culture, but with internationalization, Chinese consumers have become increasingly drawn towards wine and want to learn about its various characteristics and how to appreciate a good wine. When entering the Chinese market brand has to be extra careful of the local Chinese consumer’s values, traditions, and preferences. A market entry must not feel as attacking current customs or replacing their values. Therefore, in-depth market research in highly advisable to learn about the Chinese market. When Starbucks entered China a tea-drinking nation, it didn’t focus or replacing tea but enhanced tea culture by bringing about drinks that contained tea ingredients. Starbucks gave consumers an option of drinking and hanging out at a Third place. The main target of Starbucks were China’s middle-class consumers who are inspired by western culture and quite fast at adopting it. Starbucks created an environment that recharges the customer by providing upbeat music and chic interiors. Many Chinese consumers go to Starbucks not just to have a cup of Frappuccino, but to enjoy the “Starbucks Experience” that makes them feel cool and trendy. Thus, Starbucks has established itself as an aspirational brand and is able to charge premium prices. In order to stay ahead of the competition, in China retailers must invest in identifying customer needs, preferences along with finding the right partners and investing beyond O2O into omnichannel fulfillment. E-commerce has enabled international retailers and brands to enter China more quickly and easily than before through online-only business models. Today, China is driven by mobile-consumer behavior, vibrant social commerce adoption, and a ubiquitous digital payments infrastructure. On the other hand, the Chinese market is fiercely competitive. Internet giants and international, local brands are investing hugely to learn about customer actions in order to provide exceptional customer experience. It won’t be wrong to say that only the most innovative will survive in this dynamic retail environment. As the digital platform shared between eCommerce, mobile and social have created so much noise, at times it gets difficult to identify best products. Therefore brands are integrating online and offline shopping experience to fully satisfy a customer before they make a purchase. In this way, digital becomes a platform for not just online growth but everything from, brand building and customer engagement through to supply chain operations and physical store formats. Influencers are another strong way of branding products. Retailers look for influencers that are relatable with their brand values. This way a target market is already in place. Customers already trust the influencer and their recommendation. According to a report by PWC, 29% of Chinese consumers, as compared to 13% globally, use social media to see what brands or products KOLs and celebrities are endorsing. KOLs differ from E-commerce merchant in three ways, they interactively interact with consumers, raise awareness and help build brands. With immense E-commerce penetration of about 5%, now(FMCG) and groceries sector could be the next major growth driver. Even though online grocery has been a challenging proposition for retailers globally, but in China, it is offering an attractive opportunity. China’s luxury consumers are much more willing to access and buy brands online, takes advantage of promotions and has concerns over authenticity. Therefore, brands must communicate and interact with customers on communication channels as much as they can. This strategy increases trust in the brand and also educate customers about the product or brand. In a recent survey conducted by PwC’s shows that 40% of Chinese consumers shop from the favorite retailer. Consumers trust the brand offered by that particular retailer with respect to product quality and price. This attribute is highly prevalent in the grocery and food category. Safety and quality issues have given international supermarkets and brands offering imported products an edge in the Chinese food market. High demand for imported food items has encouraged the development of cross-border E-commerce. Cross-border E-commerce enables retailers and brands to try Chinese market entry model without compulsion of setting up a physical store, or a local Chinese entity or any enormous capital investment. Many retailers consider cross-border E-commerce as a “test and learn” strategy. In the case of cross-border and E-commerce market entry, retailers must engage with and partnership with as many local distributors as possible. Since this strategy will make more possibilities to be successful in Chinese online platforms. The vita way to increase exposure is lead generation. Inbound marketing offers extremely useful options to be applied in lead generation, a few to name are; Content developing, SEO, PPC, and E-reputation. In B2B lead generation, more trust and visibility is needed. Firstly, branding and consumer awareness of the food brand needs to be comprehensive with respect to its content, high-quality photos, and consumer insight. A foreign brand must have a local Chinese customer oriented website along with other useful features on social media. New plateforms exist in China and help Brands to connected with large number of distributors. How to Hack the Distribution in China? 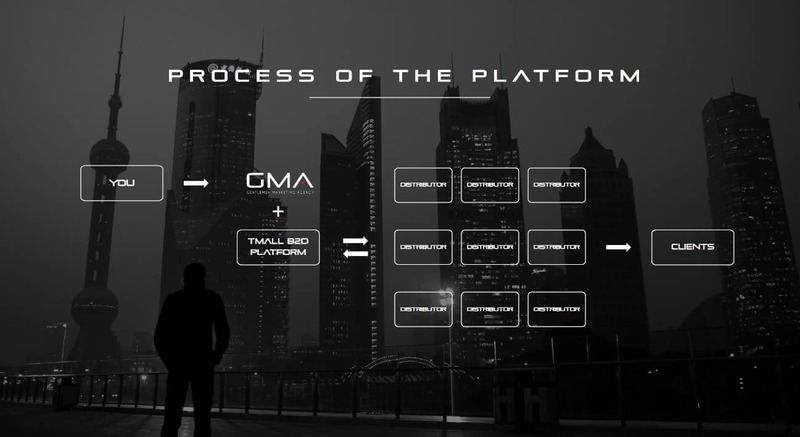 We have a new solution, a Break to Market, B2D Platforms (Brands to Distributors). Old Unique Distributor that run the all distribution for Brand will die soon. And I think these new Solutions will be the future of the Distribution in China. We have a PPT that explains these new solutions, I can send it to Professionals. Send us an email to get it. In China, dealing with distributors can be a ruthless experience sometimes. Due to high demand, Chinese distributors look for brands that are popular in consumers or have features that Chinese consumers prefer. Distributors, don’t help in promoting your product on their website in fact if a brand is not doing well they will leave it and opt for a similar featured brand. Therefore, digital marketing strategy needs to be extremely important to survive the highly competitive market of China. Brands need to make their own space on digital platforms by being sensitive to the needs of customers, regularly coming up with interactive digital activities on social media and promoting one’s brand as the best among all other brands present in the market. In China, the franchisee undertakes business operations under a uniform business model as a part of agreement by the contract and pays franchising fees to the franchisor. International Chinese tourism has developed the demand for foreign food brands and restaurants in China. Chinese consumers are becoming more aware of western tastes and have started to appreciate foreign cuisines. Foreign restaurants and food brands wants to materialize this opportunity and open their franchise in China. Foreign brands of eateries need to embrace the digital opportunities in order to find a suitable franchisee. They need to focus on building their own digital capabilities and to defend their ground by activating the online channel. Companies need to design their business functions with a full-channel vision to win the future Chinese shoppers who are becoming increasingly sophisticated and multichannel. E-commerce is continuously developing showing strong growth momentum in China. It has penetrated extensively in higher and lower-tier cities. They need to focus on building their own digital capabilities and to defend their ground by activating the online channel. Companies need to design their business functions with a full-channel vision to win the future Chinese shoppers who are becoming increasingly sophisticated and multichannel. There are three main search engines in China. Baidu being the biggest and most well-known, is used the most with boasting 70% of market share. It is also the fifth most visited website in the world in terms of online traffic. To gain more traffic and gain, a brand can establish itself on Qihoo 360 and Sogou. SEM is another good option to attract traffic to a website, although it require a bigger marketing budget. Pay Per Click strategy, is more effective for bigger brands and requires a substantial budget. SEM is often used by companies looking for extra leads. To encourage conversion rate, brands that optimize their websites on Baidu also need to have a mobile site. This also generate mobile payments and a easier way for brand to reach conversions. Baidu is also enhancing user experience on a mobile phones. An optimized website is extremely important for successful SEM strategy, this calls for rich content Mandarin website. Having a .cn domain increases the creditability of the website and improve ranking on Chinese web. Informative Chinese websites hold excellent reputation in China and help consumers to trust the brand. Cross boarder market entry in China comes with a whole different set of toolkit where integrated marketing on digital and offline platform is the key. Its not easy to grab attention of customers who are spoiled in the digital world, daily bombarded with extensive quality content, used to paying conveniently in cashless environment and follows trustworthy KOL advice. Although, connecting seamlessly with Chinese urban netizens need carefully sketched digital marketing strategy to uplift the products and services from the crowed. It is true for companies pursuing to enter Chinese market digitally, is also cost effective rather than taking the offline door. Specially when the brand is unknown in Chinese environment, since digital is the only platform that can be used to draw attention of Chinese consumers. Digital strategy for China is completely different than the rest of the world. It is extremely important to learn the taste preferences, values and traditions of Chinese consumers before offering them a product. Since offering them something that they cannot relate with is useless as the product will never be able to get their information. Secondly, all previous brands that have entered Chinese brands have improvised their products according to Chinese taste, let it be Green tea Frapachino at Starbucks or Oreo cookies to Red bean drinks. After, adapting to Chinese tastes and preferences, companies must optimize their marketing strategy according to the trend in China. Which is ultimately digital. Creating product awareness, interacting with customers on social media, using KOL for the product, providing with interactive online to offline solutions and providing high-quality mandarin content this all comes under the umbrella of the Cross-border digital marketing strategy of China. Until few years ago co-branding in China of leading brands was a new concept and companies were not sure of what reaction they will receive from the Chinese market. On Thanksgiving 2017, Durex taking advantage of Chinese consumers increasing awareness of foreign festival, Durex China’s Weibo account published “thank you” posts to 13 brands in seemingly unrelated fields. Further attention came when, the 13 “chosen brands” felt obliged to welcome or thank Durex back for something else, which left netizens glued to their Weibo accounts to see the interaction among the brands. The humorous responses among the brands gained extensive appreciation from the Chinese consumers and lead to be shared 16,000 times and received 4,200 comments. Starbucks, the coffee giant opened “The Starbucks Reserve Roastery” in Shanghai, thats boasts a 30,000 square-foot retail location that the company refers to as the “first fully immersive coffee wonderland in China” and it is also the most ambitious project of Starbucks ever. The Roastery incorporates first-ever in-store augmented reality experience, built in partnership with Chinese tech giant Alibaba. Consumers use a custom Roastery smartphone app, to learn about various features of the The Roastery. The app entails a digital menu and rewards customers with virtual badges. Alibaba has provided its e-commerce giant, Tmall services by selling Roastery-branded merchandise and coffee, and Roastery tasting experiences. Starbucks realizing the power of digital eco-system in China previously partnered with one more digital Chinese tech giant, Tencent, for social gifting integration on WeChat. In China Starbucks witnesses the fastest-growing market with more than 3,000 stores across 136 cities, and 600 alone in Shanghai. The company opened one store every 15 hours in China, where there are nearly 700 million smartphone users. In last July, Schultz gave clues on partnering with Chinese tech companies, “based on the fact that the consumer in China is well more advanced than the U.S. consumer in terms of being a digital native”, Schultz. Fatima RIZVI: an international Marketer that spend several years in China. Fatima has a great understanding of Marketer Problems in China, and Deep understanding of the Chinese Food market. Olivier VEROT: founder of GMA, Olivier is a “pragmatic” Marketer that prioritize Results. After spending 11 years in China, he has a good expertise about Chinese Marketing. Performance Marketing Agency: the core DNA of our Agency is bring Results to our clients. We work to optimize Sales. develop Branding, or increase Exposure. Food Expertise: we have an expertise to Market Food & beverage in China, know best Channels, best influencers and understand the communication among Chinese Middle Class. Digital Attitude: as a pure Digital Player, we perform with Digital Marketing Campaign and have the Digital Philosophy to Do , learn , Adapt and Optimize. We believe that perfect Results arrive by analyze and non stop Optimize. Return on Investment: We know that China is a difficult Market for new Brands and we are obsessed by delivering Results that bring ROI to our clients. We provide cost Effective Solution to Maximize Results. It is when we make money that our clients make money. Partner: we have a partnership approach with our clients. We Guide them, give feedback about Campaign, and like to work in smart partnership. Our Case studies in F&B in China. Send us an email to receive them. If you have a serious project in China and want to develop your Brand, your distribution, your E-Commerce feel be Free to contact us. Very deep insight and Great Article. The best article I read about Food in China. I am doing my thesis and it will help me a lot. I would like to add some information. The organic food in China has tripled in 5years to currently account for 1.01 percent of total food consumption, which is now bewteen 5 to 8 percent of total concumption. Chinese consumers are a combination of the old and the new Food culture, mix of Old traidtion and new lifestyle. She enjoy Chinese old restaurant making Chinese hot pot, and the next day, she will taking picture in Wagas, eating a healthy Salad and smoothies. I can not reply to all of your question, different organism have different source. And yes you are right about your analyze of Chinese Consumers, mix between tradition and New western Lifestyle. Great article, the best one I never read about Food & Beverage Marketing in China. i work for Beer & Spirit Distribution , part of Beer Group, and we would like to represent high end imported Food brand in China. The brand need to be worldwide famous and be little bit know in China. We would like to take share in a joint Venture, and can take the distribution cost if the Brand can invest in Marketing. You can contact me for further information. Very good article, and show your professionalism. We are a Chinese distributor and searching to import Foreign food Products and Water / Juice and seafood. Please send your introduction to us. We have good english communication and searching to resell online and on our new imported chain stores. A very compact well written and useful insight into the food & beverage industry in China.